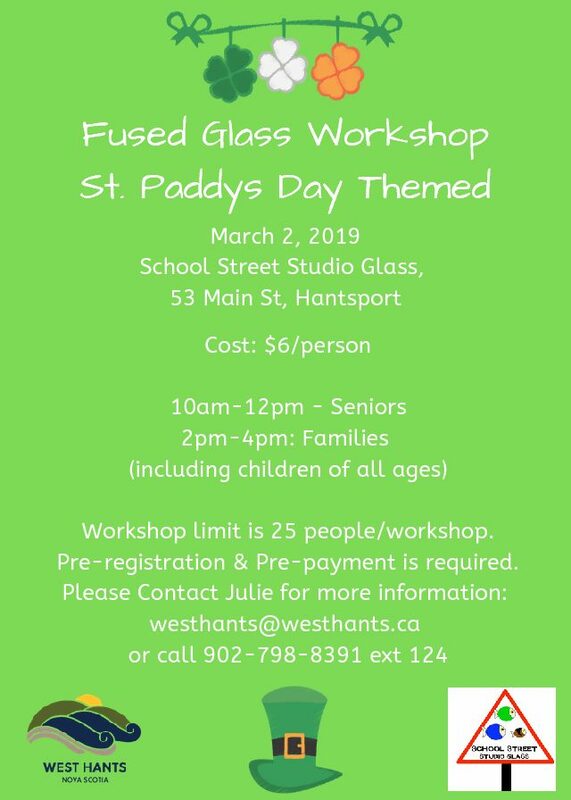 The West Hants Parks and Recreation Department has partnered with School St. Glass Studio to bring you this Fused Glass Workshop: St. Paddys Day! There will be 2 workshops on the same day, one for Seniors and one for families of all ages. Please share with anyone who may be interested in letting their creative side out! There are only 4 spots left in the seniors workshop but plenty of space left in the family workshop!